I am your State Farm Insurance Agent for Ukiah, CA and I have been a State Farm Agent since 2010. I am a United States Navy Gulf War Veteran 19891994. In the agency we enjoy assisting resident relocations to the Ukiah, CA area. 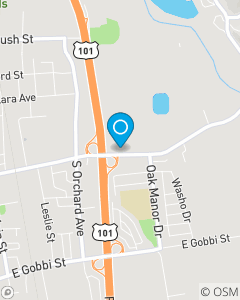 We focus on Auto Insurance, Homeowner's Insurance, Renter's Insurance, Life Insurance and Business Insurance throughout the Greater Ukiah, CA area. Call or stop by the office for a free Car Insurance or Home Insurance Quote in Ukiah, CA.